According to legend, there was a young samurai who wandered the mountains of Japan one day and became lost, until he met an old man who invited him to his house. The youngster bragged about the excellence of his fighting skills, to which the elderly man responded with laughter. That angered the young samurai, and he attacked his host. However, the old man was swift to respond to the attack, demonstrating flawless ability. He supposedly fought only with a saucepan lid. That is just one of the many stories that revolve around the name of Tsukhara Bokuden, perhaps one of the most prominent samurai in Japan, known to have fought over hundreds of battles and allegedly never losing a single one. A figure of 16th century Japan in one of its belligerent stages, Bokuden earned a reputation for being undefeatable, capable of overcoming even the best of all Japanese martial-arts masters. In the latter part of his life, however, Bokuden began developing a different philosophy that suggested samurais should try to avoid fighting and killing their opponents whenever possible. He considered that violence is not the best solution after all, and while such a stance is widely accepted today in the philosophy of martial arts, it wasn’t the case back in Bokuden’s day. As it also turns out, Bokuden likely produced a book that for many many years was passed down to one person only in each generation. The book not only provided the younger samurai with pieces of advice on how should they prepare for their first battle but also went into details such as what type of food they should consume in the days ahead of the fight and how much alcohol should be drunk. The book goes beyond fighting rules and attempts to answer questions related to the lifestyle of a Japanese warrior in general: what skills are required from the samurais besides fighting? It even contains ideas for naming a baby: What is the best name for a baby samurai? Entitled The Hundreds Rules of War, this work has waited approximately 450 years for its translation into English. Most of the written material is comprised of songs that the young samurais can sing to aid memorizing the rules set by the old master. Bokuden supposedly finished the work in 1571, just before he passed away. He was born in 1489, and he had spent most of his life in the warring Far East island. A recent book translation, Live Science reports, was made possible thanks to the efforts of Eric Shahan, an expert dedicated to working on Japanese martial texts. The Hundreds Rules of War has an unquestionably interesting past in its native country of Japan. Its first printed copy came out in 1840 and since then it has been reissued several times over. Even though several texts say that it was Bokuden who produced the content, it should still be noted that the writings had been recopied a couple of times throughout their long history. Therefore, we cannot be 100 percent sure that it is indeed as Bokuden wrote. 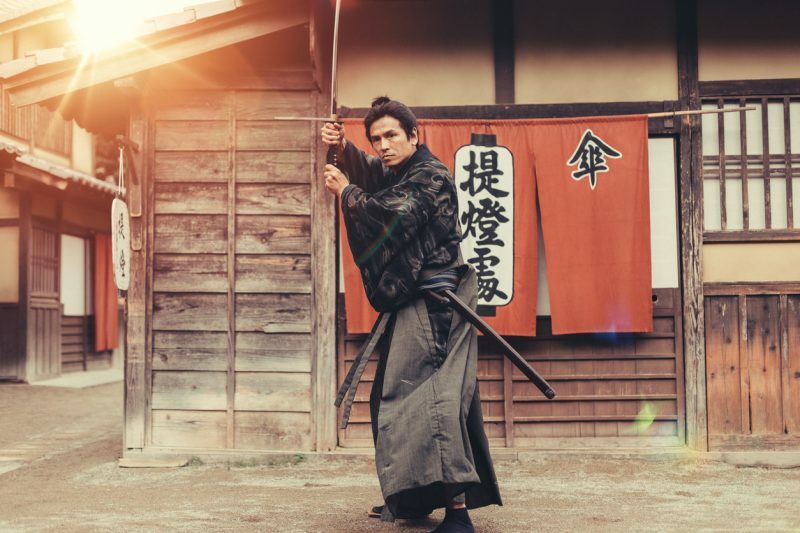 In this context, some of the final rules mentioned say that it doesn’t matter so much what kind of equipment or weapon the samurai brings to the battle, so long as he manages to dismantle any thoughts about both life or death. “Samurai should never be concerned about whether they live or die,” it reads. More food-related advice suggests that dried plums or roasted beans are two items a samurai might want to carry with him into battle. At first, it might seem hard to understand the benefits of plums or beans, but some interpret that a dried plum would have helped a warrior soothe his throat if parched before combat. In the early 17th century, a Zen priest named Takuan Soho compiled a foreword for this textbook. Later on, an introduction was also added. The book’s copy in English has been out only since the summer of 2017, and it also integrates all the original Japanese text. The afterward of the book further affirms that, for several generations, The Hundreds Rules of War was exclusively passed on to only one person. This entry was posted in ART, ASIA, History, Japan, Science, Travel, World by rolyred. Bookmark the permalink.